2nd Sound Hearing 2030 World Congress is rescheduled to 20th -22nd Feb 2019 due to threat of volcano eruption and international advisory. Department of Community Medicine, Maulana Azad Medical College in collaboration with Sound Hearing 2030 is organizing a CME Programme on 21st- 22nd December, 2018 at Maulana Azad Medical College, New Delhi. The theme of the CME Programme is “Hearing Loss: Epidemiology, Detection & Prevention: A Multisectoral Perspective”. 9th International Conference of Coalition for Global Hearing Health, 26-28 October 2018, University of Cape Town, South Africa. Department of Community Medicine in collaboration with Sound Hearing 2030 is organizing the CME Programme on 2nd -3rd February, 2018 at Maulana Azad Medical College, New Delhi. The theme of the CME Programme is “Ear & Hearing Care”. Vision: To improve the quality of life across the globe by including in developmental programs the RIGHT TO BETTER HEARING. Welcome to the Sound Hearing 2030 website! 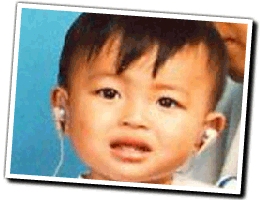 The Society for Sound Hearing (SSH) has been ratified at the first General Body meeting in Bangkok on the 4th of October 2005, with the initial support of WHO SEARO and CBM. It is a permanent New Delhi based international organization with representations from professional societies, governmental focal persons, international NGOs, agencies, and active individuals. 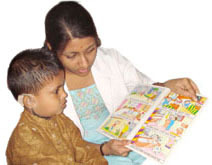 Till dates, SSH has achieved several milestones in the first term of its Executive Committee (2005-2009), which includes establishment of its office, several regional meetings, symposia for sharing experiences, as well as the formation of three National Committees for ear and hearing health care in India, Indonesia and Bangladesh, while Nepal National Committee establishment to follow soon. Site is designed and developed by BarrierBreak Technologies .